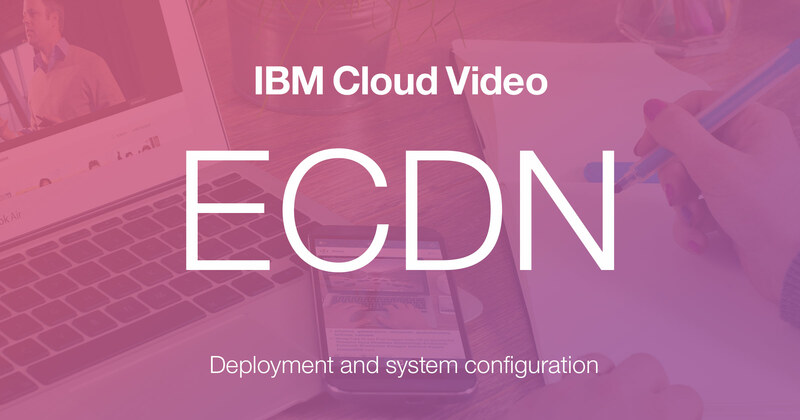 IBM Cloud Video has improved its ECDN (Enterprise Content Delivery Network) technology through simplifying the initial deployment and configuration process. This includes a new, friendly UI and also easy ways to export this configuration for VMware® ESXi or Microsoft® Hyper-V™. This article explains the new process and also gives an overview of what an enterprise content delivery network is, ECDN benefits and use cases for the technology. ECDN is a virtual appliance. 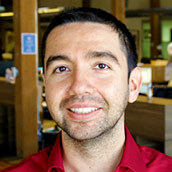 It is installed on a server and allows caching and distribution of assets to large audiences without requiring each individual to take up connection resources to download that asset. For example, a high definition (HD) stream being watched by 1,000 might normally require 1.7 Gbps total. If a local download speed or ISP link, however, is only 1 Gbps that causes issues. With ECDN, that requirement is reduced to one stream (or a few so it can support adaptive streaming) rather than 1,000. As a result, in the example above that strain on the ISP link might only be 6.8 Mbps (3 Mbps for 1080p + 1.9 Mbps for 720p + 1 Mbps for 480p + .6 Mbps for 360p + .3 Mbps for 240p). Aspects about the player and its quality of service (QoS) elements are found in our Live Video Delivery System Built for Scalability white paper. This includes explaining the SD-CDN (Software Defined Content Delivery Network) approach that can change between sources to deliver content to avoid congestion. When using ECDN, it joins as part of this solution. This is important as people outside of range of an ECDN edge can still access video assets, as long as they are authorized to do so. For example, employees working from home can access video streams from their mobile using a traditional CDN. 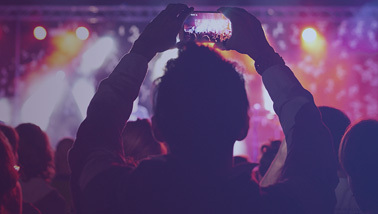 The white paper discusses how the player makes these choices when a viewer connects to watch content, as the analytical performance data is sent back by the player that is used for quality of service to optimize for uptime. 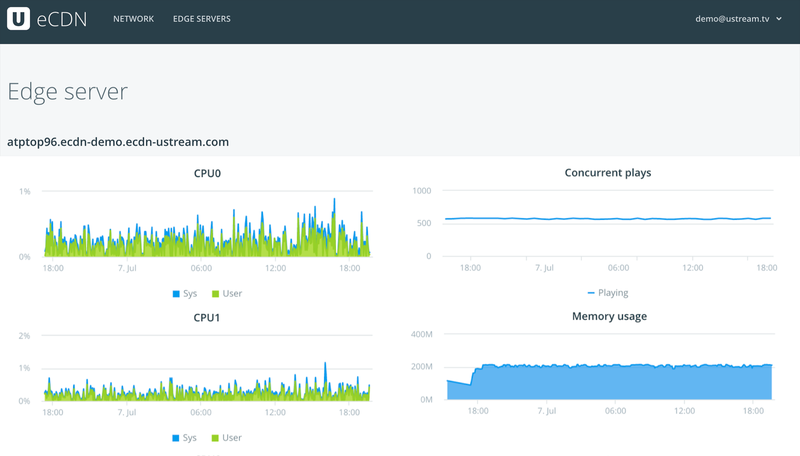 The ECDN edges are virtual appliances that will scale and send the video assets to local viewers. The backend component has two main tasks. The first of these is to maintain an internal database with the information of the all eECDN Edges and provides a API for the user interface. The second function is that it enables users to choose where to store the DNS records of the ECDN Edges. Storing them on an external DNS server gives additional flexibility, while storing on internal DNS server gives higher security. Finally, the admin portal allows an organization to to both get a health check on ECDN edges and also see the amount of concurrent connections. Clicking further can even give a performance history for the edge, showing if traffic is peaking, consistent or declining. The enterprise content delivery network allows organizations to optimize internal video delivery without having to upgrade their own network. This is especially important once further upgrading a location’s connection is either too costly or not available from current providers. Deployed as a virtualized appliance, the solution allows the delivery of video assets to scale as needed. For example, an office of 5,000 could all watch the same CEO town hall broadcast at the same time, even if the combined strain on the connection would normally create bottlenecks. This process also empowers viewers to be able to watch at the highest quality, ideally high definition, as opposed to a lower bitrate quality to reduce network strain. Furthermore, IBM Cloud Video ECDN edges function as a fleet that can accommodate multiple offices or locations, on both a state or even country level. Ideal installations involve more than one instance or edge of ECDN on premise for failover. This is done as the solution contains automatic routing logic to reduce strain on an instance and improve scalability on location. IBM Cloud Video ECDN is installed as a virtual server. Server platforms supported include VMware® ESXi or Microsoft® Hyper-V™ for Windows. 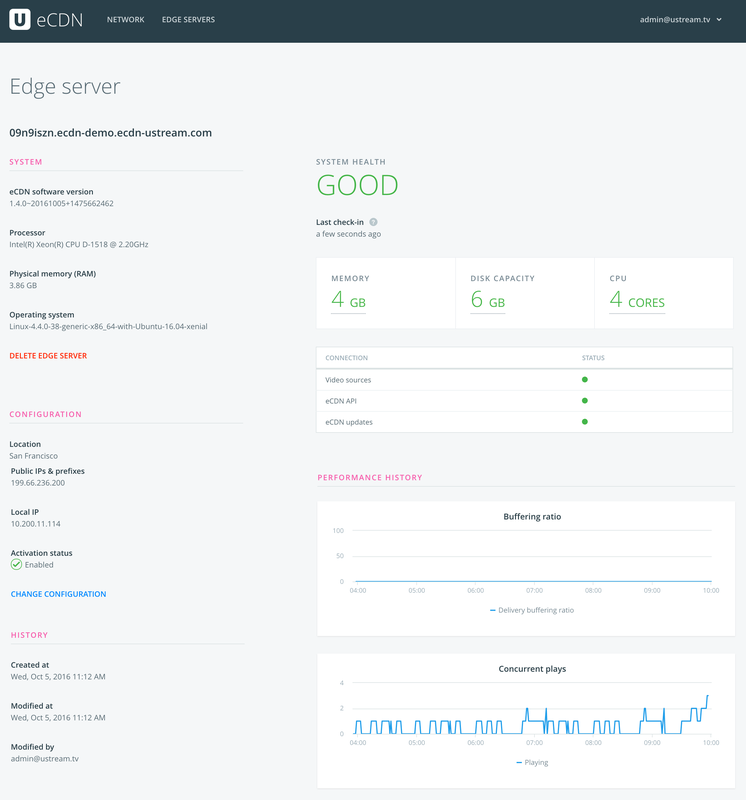 This process has been improved, with the addition of a graphical interface that makes it easier to setup an edge instance. 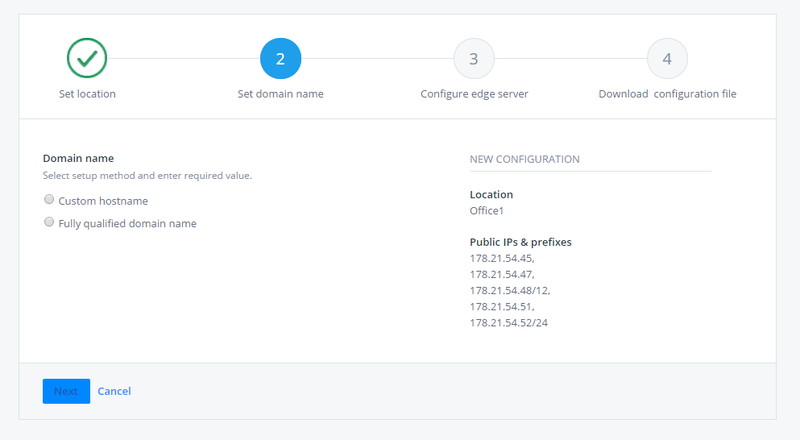 The new initial ECDN configuration for an edge instance can be separated into four steps. The process before these steps includes establishing a range of IP addresses and also establishing initial locations. The first part of the deployment process for adding a new ECDN edge is simply selecting a location for that edge. This will be used for the ECDN admin panel, as one option is to sort by locations. For example, a multinational company might have offices in Budapest, Hungary and a US based San Francisco, California location. So there might be two locations for their configuration: a Budapest and San Francisco location. The naming conventions are up to the organization, though. For example, it can be done by function like “Engineering Office” and “Sales and Marketing Office”. Note that setting a location can be changed in the future if needed. This is done by clicking on an edge server in the admin portal and doing “Change Configuration”. Please note, though, that if your company has internal DNS server(s), the security settings of the internal DNS server(s) must allow the host name to be resolved to an internal IP address by external DNS servers. On the fully configured domain name side, an example of this might be: sf_edge01.mycompany.com. In this case an A record needs to be manually added to the internal DNS server. Another way that the host name or domain name comes into play is through the admin portal. These portals allow an organization to drill down to specific edge server instances, letting them get a health check on that node and also see the amount of concurrent connections. In this panel, these edges are denoted based on their host name and/or domain name. So being able to differentiate between edges at the same location comes down to the unique names given to them during this step. The third step walks through selecting an IP address and adding the optional DNS server and NTP server settings. IP address selection can be Dynamic (DHCP, aka Dynamic Host Configuration Protocol) or Static (manual). If Dynamic is selected as a method, only the optional DNS servers and NTP server fields are are shown. When Static is selected, three additional fields are added for Local IP, Netmask and Gateway. The final stretch of the configuration process. This involves selecting your server, either VMware® ESXi or Microsoft® Hyper-V™ for Windows, and downloading a virtual CD (ISO file) / VM image. After making this selection please note that it can take up to 30 seconds for the appropriate file to generate. 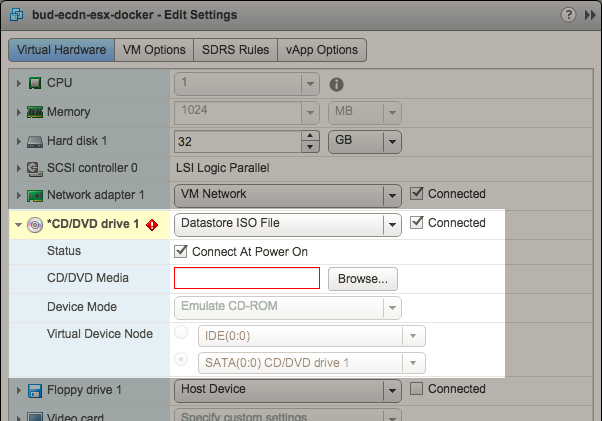 On the VMware® ESXi side, first ensure that the host is powered off. Next select a virtual machine from the group provided or search and select one. Now in the Virtual Machine (VM) Hardware panel, click “Edit Settings”. Go to the Virtual Hardware section and choose the “CD/DVD drive” option. Make sure the drop down is set to “Datastore ISO File” and not “Client Device” or “Host Device”. Following this, make sure that “Connected” and “Connect At Power On” are both selected. Finally, under the “CD/DVD Media” option, there will be a method that lets you browse your files. Use this to choose the ISO configuration file you downloaded earlier. For Microsoft® Hyper-V™, after creating the virtual machine, access the “Settings” for the desired VM. This is done through starting the Hyper-V Manager, clicking on the virtual machine and in the bottom right frame clicking on Settings to launch a new window. Now change the location to boot from by selecting the “IDE Controller 1” option. Now choose “DVD Drive” and under the “Media” section change from “None” to “Image File”. This will let you browse your files to find the ISO configuration file you downloaded earlier. Support for Citrix® XenServer™ through this method is upcoming. Essentially, any organization with a large amount of on premise staff could benefit from ECDN. Specific use cases do benefit more than others, though. Below are some uses that are perfect matches for the ECDN functionality. The poster child use case: CEO town halls and other all hands meetings are a great way to engage a large employee base. A method to give a high ranking executive a voice and personalize both their passion and strategy for those who work at the company. Through an included Q&A module, participants can also give feedback that can either be addressed as part of the meeting or answered through text. Through utilizing ECDN, these all hands meetings can easily accommodate larger offices, empowering all employees to watch these assets in high definition. Through multiple instances of ECDN, multi-national companies don’t have to pick and choose between which office to prioritize but can cater to all of them to allow each to tune into the meeting simultaneously. Organizations looking to avoid costly travel can remotely train and educate a workforce to improve their understanding of their competitive space and better execute their jobs. Through eCDN, employees can all participate in live video training sessions. Furthermore, the solution gives them viewing flexibility. In fact, staff have a variety of viewing options ranging from their laptop to mobile device. Through delivery scale, employees are also not mandated to sit in a conference room crowded around the same screen to reduce WAN strain. With individual viewer tracking, managers can also see if employees watched and completed training assets. This same tracking can also be done on a content basis, highlighting those assets that are more successful at training or more widely used than others. Video is an engaging way of exchanging information. In fact, when Wainhouse surveyed 1,512 executives 81% felt that online video was an effective form of business communications. Consequently, it’s often used to convey important details about new offerings and products within an organization or updates to existing offerings. This can enable and empower a sales team to sell the product effectively. Travel costs can also be eliminated versus presenting this information in person, while ECDN can let the staff of multiple offices all virtually attend at the same time. Thanks to auto archiving, that same presentation is also available as an on-demand video asset as well. So employees who join the company later can still partake in the information provided. Hoping to hit a large audience of students on campus? An ECDN instance on school grounds can be a great way to scale to reach a large student body with lectures. This can give them the freedom to attend remotely, on a mobile device or laptop, while also accommodating viewing by a large audience on campus as well. Through auto archiving, these lectures can also be available on-demand. This giving students flexibility in their learning choices, both from location and time perspectives. ECDN is a powerful solution that enables organization to take advantage of some aspects inherit with an on premise video solution, but from the flexibility of a cloud based video platform. As a result, companies can scale video to reach their entire office or offices without impacting their WAN. Meanwhile, they can support remote employees or stakeholders, including on virtually any device. This new update takes that product and makes it easier to configure. As a result, organizations can support even more offices with this solution while utilizing a faster and easier process to deploy additional ECDN edges. Interested in learning more about ECDN and how it can be deployed as part of your internal video solution?